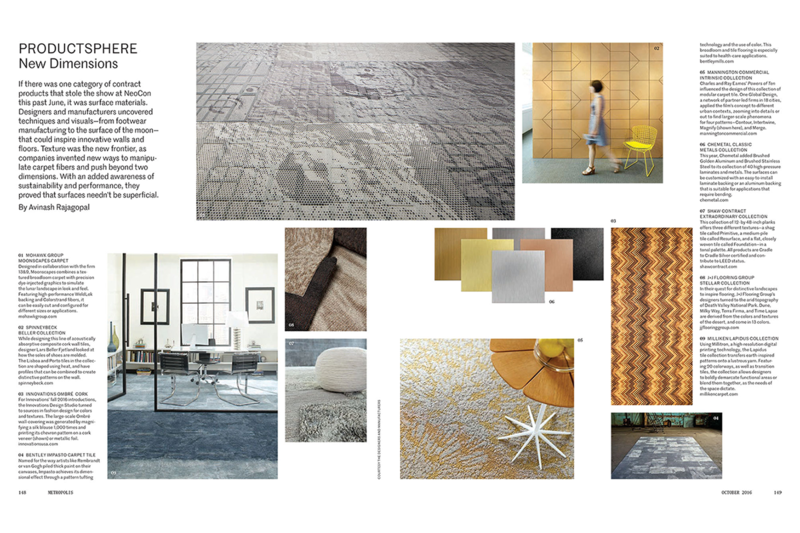 The Beller Collection of acoustic cork tiles is featured in the October issue of Metropolis. Lisboa and Porto tiles are 1’-4” (40.6 cm) square modules that secure to a unique pressure fit rail system with a gentle push. Manufactured with waste material from wine stopper production, the resulting product is 93% recycled cork produced in a waste-free molding process. The molded cork tiles of the Beller Collection are flexible too; allowing endless configurations using standard tile designs that add three-dimensional patterning and acoustic absorption.